ACROBiosystems, an international leader in recombinant protein industry, specializes in producing high quality biomarkers for drug discovery. The latest focus of Acrobiosystems is the emerging field of cancer immunotherapy. The company developed an exclusive immune checkpoint product line that includes all known checkpoint proteins of humans and commonly used experimental animal species. All these products are carefully designed and rigorously tested to meet the diverse need and high quality demand of pharmaceutical industry. 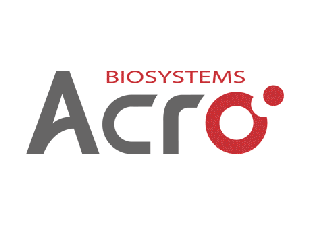 Acrobiosystems also carries a series of complementary products, such as its human cell-expressed ActiveMax® cytokines, to facilitate laboratory immunology research. In addition, the company’s portfolio includes a biotin-labeled recombinant protein collection and a series of Fc receptor proteins. These products are specifically tailored to the need of antibody screening and assay development.